If your idea of an adventurous weekend is a spot of gardening or a trip to a DIY superstore, spare a thought for Tom Johnson, Ciaran Finn and Bryn Luffman of Nottingham-based accountancy firm Page Kirk. The intrepid team took part in the notorious Tough Mudder event at the 16,000-acre Belvoir Castle site in Leicestershire. The 13-obstacle endurance test demanded every inch of their strength, stamina and determination. As well as helping each other over massive climbing walls, the participants were forced to negotiate fearsome mud mounds and water pits. All the effort was in a good cause though, as Tom, Ciaran and Bryn have now confirmed that they have raised £500 for Meningitis Now – the only charity in the UK dedicated to fighting the killer disease. The money raised could provide up to ten hours of emotional support for someone with a specialist counsellor or therapist. Alternatively, it could contribute 25 hours of research into the illness, which is the biggest cause of death among children under five in the UK. 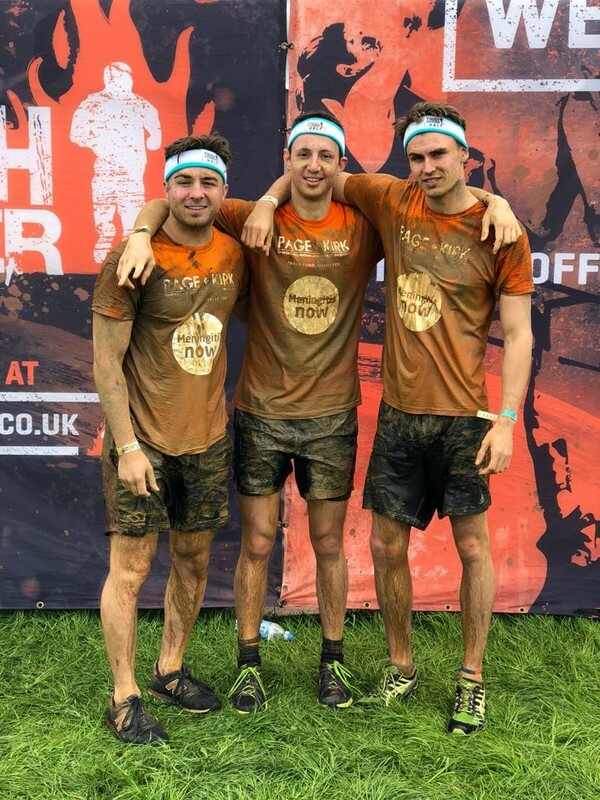 Bryn, who works in the Page Kirk accounts department, has been reflecting on the Tough Mudder experience and says he was nervous initially, but that the event turned out to be a ‘whole lot of fun’. Tom from the audit department is thankful to everyone who supported the team financially.